The UK’s Secretary of State for Defence Sir Michael Fallon has backed British company BAE Systems’ bid for Australia’s $35 billion Future Frigates Project, talking up the defence export and job opportunities it would bring to Australia. Speaking at a press conference in Sydney during his visit for Australia-United Kingdom Ministerial Consultations (AUKMIN), Sir Michael told reporters the British designed Type 26 Frigate, which the UK recently cut steel on, will be able to offer strong opportunities to Australia's defence industry supply chain. "It is being put forward to the Australian government by BAE systems who have a well established track record in Australia, a good record in local employment," Sir Michael said. "[It] will be be able to offer opportunities along the supply chain to a whole range of Australian companies." BAE Systems is competing against Fincantieri of Italy with its FREMM design and Spain's Navantia F100 design for the project. The winner is expected it be announced in 2018. The vessels will replace the Anzac frigates from the mid 2020s. But the Defence Secretary was adamant that regardless of whether the BAE's bid is successful, Australian companies would continue to win work on the UK's Type 26 program. 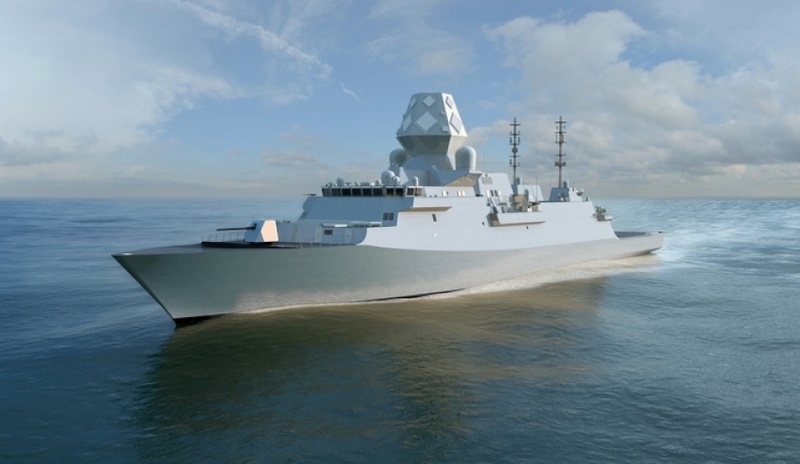 "Two companies have already been awarded work and I expect a dozen other Australian companies to be involved in that supply chain, producing the British frigate, whether or not the Australian government chooses the Type 26 design for their frigate," Sir Michael stated. But Australia's Minister for Defence Industry Christopher Pyne refused to be drawn on which bidder was currently leading the race. "I can't comment on that tender process," Pyne explained, "More generally I can say that the Indian and Pacific oceans will see more than 50 per cent of the world's submarines operating in this region by the 2030s. so antisubmarine warfare is a really important priority for this government. "What you can be certain about is we will maximise their capability, their Australian industry content, they will be built at Osborne South (in Adelaide) with Australian steel, with Australian workers." Sir Michael's visit to Australia for AUKMIN marked the beginning of the first ever Aus-UK Ministerial Defence Industry Dialogue.